The father of Greek tragedy will rise from the dead in Athens. Aeschylus won’t actually rise, but his great work, Prometheus Bound, will have another go in the Theatre of Dionysus. Kind of. Let me just break it down for you. 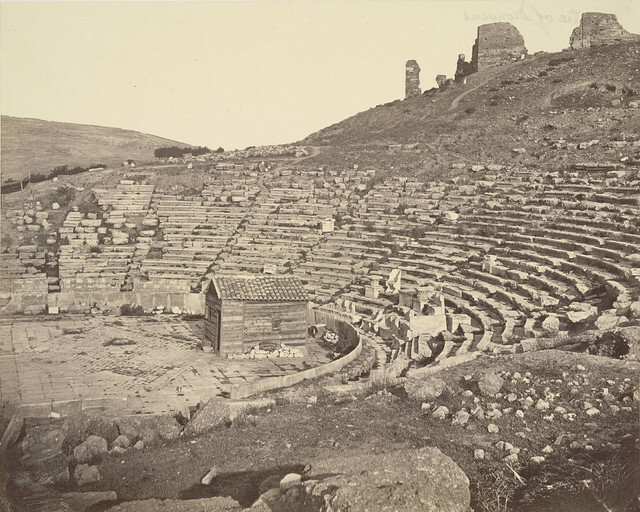 Let us first let the scene in a place where theatre came to be: the Theater of Dionysus. Built in 6th century BC, stands as one of the oldest stone theaters in existence, though it was rebuilt in 4th century BC by the same people; the rebuilding added the fine luxury of marble seating–how swank. Created in the side of a natural slope, the theater could seat up to 17,000 spectators in 64 rows, though only 20 still exist. Before we go any further, we should talk about where this new work came from. Monologue, the title of the new piece, originated from Prometheus Bound. 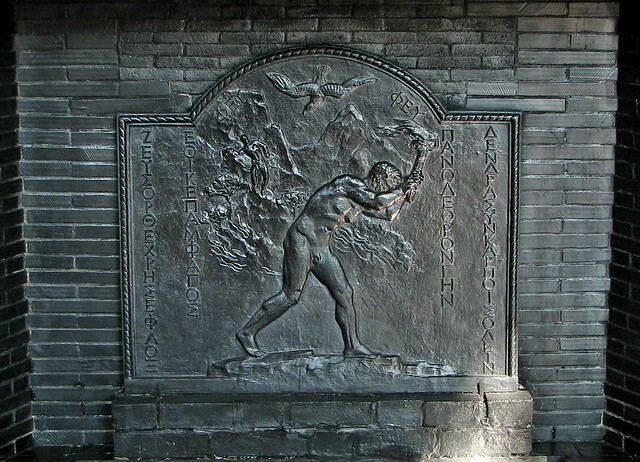 The tale, one that most people know, covers the story of Prometheus and his theft of fire from the gods. The piece derived its new title of Monologue because it bases itself off of two monologues from the original piece. Next up we have our cast! Aeschylus, the great, although deceased, poet, and George Kouroupos, the talented man selected to revive the work of our dearly departed dramatist. Aeschylus, rumored to be born in 525 BC, is credited as the creator of the second character, thus creating dramatic dialogue. This original thespian also gave birth to two major elements of theatre, scenery and costuming. Who knew that a man who fought in the battle of Marathon would make such a difference to theatre? Our other cast member, George Kouroupos, created the new concert premiering September 22nd. Kouroupos also worked on the tribute to the great poet Odysseus Elytis and the 100th anniversary of Elytis’ birth. Elytis is seen as one of the greatest Greek poets of recent years, so composing a concert in his name really boosts résumé potential. Monologues, dedicated to all the archeologists and preservationist of the Theater of Dionysus, opens on September 22nd in the south of Acropolis. This event should not be missed. Often, old theaters, such as the one mentioned above, is only used as a place to tour and nothing more. A type of ‘keep your hands and feet in the vehicle at all times’ ride. Without people, the theater has no blood. When the stage lacks a story, it renders the space brain dead. Monologues though, gives it a pulse, it brings it all back to life. This entry was posted in Culture, Greece and tagged concert, costuming, dead, dialogue, dionysus, fire, gods, greek, marathon, monologue, oldest, play, poet, Prometheus, prometheus bound, Rock, scenery, setting, stole, theater, Theatre, thespian.